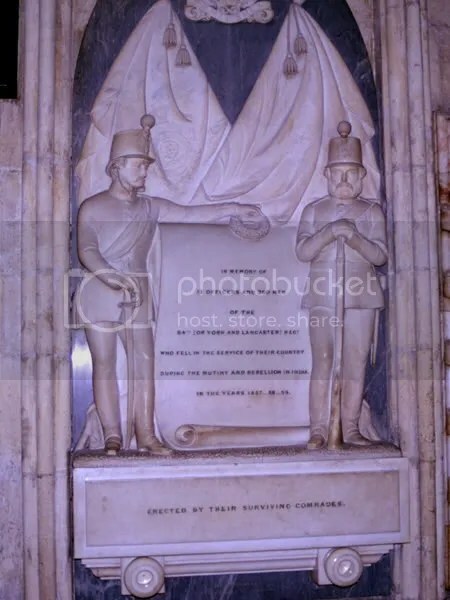 With the 150th anniversary of the India&apos;s First Struggle for Freedom in the news, I remembered my visit a few years ago to the York Minster in York, England. There, inside this imposing church, was a memorial to the British soldiers killed in that struggle. 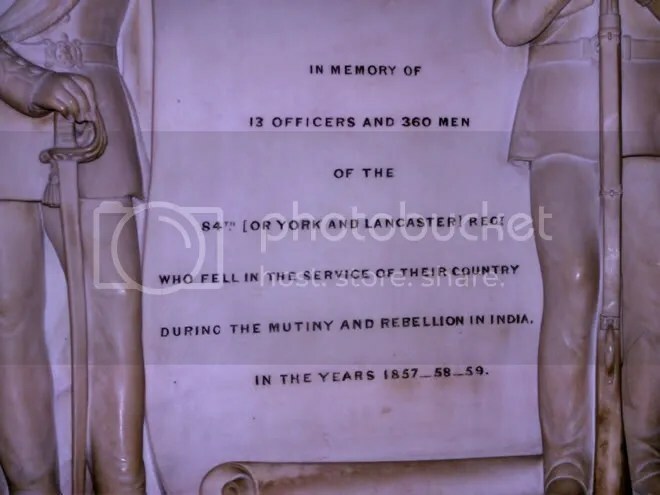 What we read in the history books under the “Indian Sepoy Mutiny” was real. We actually killed a few of the British! 😉 I don&apos;t know how many thousands of Indians died in the aftermath. Jai Hind! A closeup of the tablet. see also &apos;s recent visit to York Minster, here.